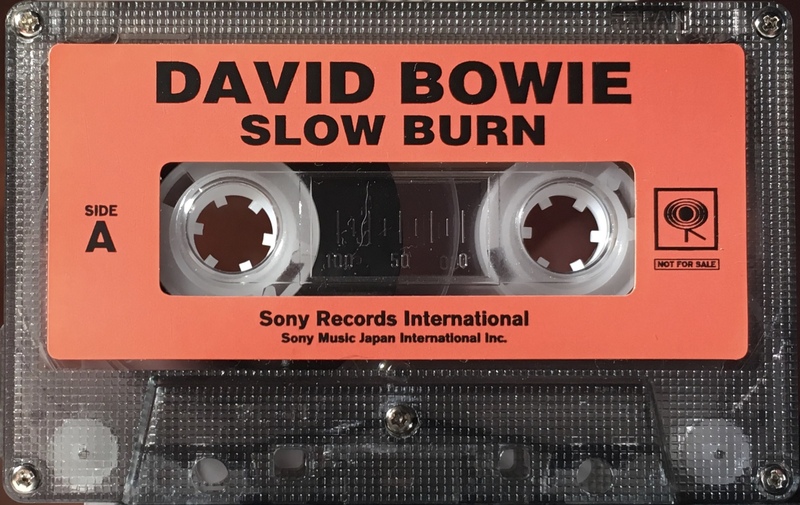 Slow Burn: Japan; Sony Records International; 2002. Red paper cover with track list on inner cover in English and a scheduled release date of 2002.07.17. Marked ‘Not For Sale’ on rear panel and ‘Sony Music Japan International Inc’. Baby Loves That Way has a misspelling ‘Loves’ – ‘Lovers’. Comes in a transparent smoked case. Black text on a red label on smokey transparent case, label marked ‘Sony Records International’ and ‘Sony Music Japan International Inc’. 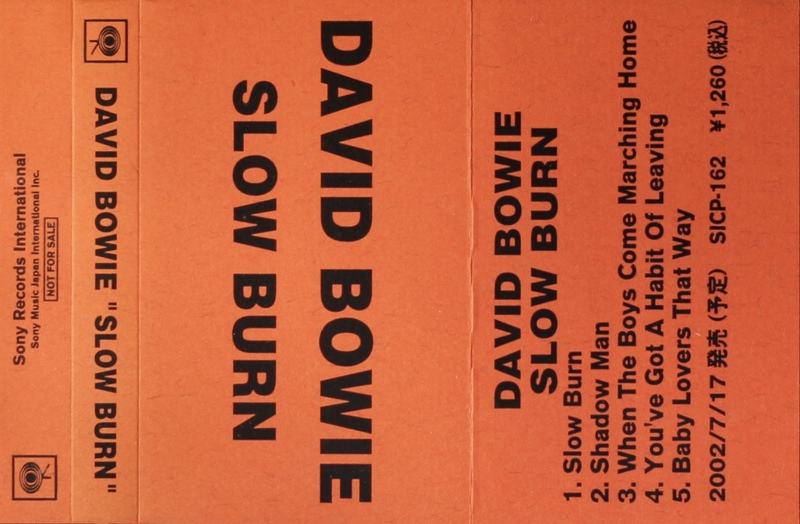 Side A: Slow Burn; Shadow Man; When The Boys Come Marching Home; You’ve Got A Habit Of Leaving; Baby Lovers That Way. 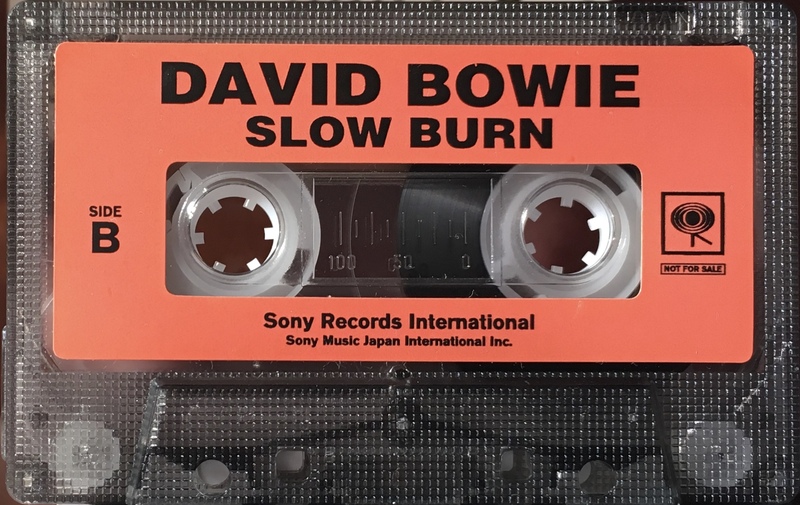 Side B: Slow Burn; Shadow Man; When The Boys Come Marching Home; You’ve Got A Habit Of Leaving; Baby Lovers That Way.